We have attained a notable position in the market by offering the finest quality array of Table Fan Gift Item. 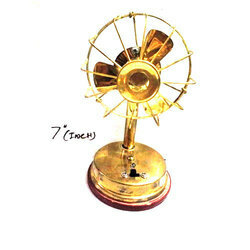 Mini Working model Brass Fan is battery operated fan which can be use to decorate your home and also can be used to give air while travelling. 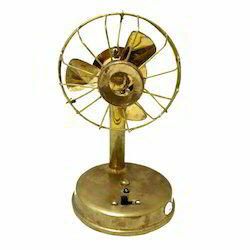 We provide premium quality Brass Fan to clients at budget friendly market prices. This fan is known for its aesthetic design.